Today, I'm very pleased to welcome one of mystery fiction's modern greats to Crime Watch, the Queen of Canadian Crime, Louise Penny. 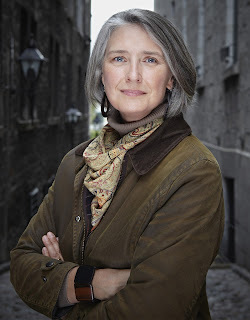 Where do I begin when introducing Louise Penny? Hers is a truly remarkable story among crime writers - and arguably the biggest success ever to come out of the CWA Debut Dagger Award programme, where unpublished authors submit portions from their manuscripts. That award has been running for 15 years now, and Penny was one of about 800 entrants from all over the world back in 2004. She made the longlist for Still Life, which would become her debut, went to London for the ceremony - and although she didn't win (she came second), she met lots of people in the mystery writing community, and from there found an agent and was signed up for multiple book deals in the UK and North America (you can read more here). To be honest there probably wouldn't be room for a CWA Debut Dagger on Penny's mantlepiece nowadays - her Inspector Gamache series set in smalltown Quebec has gone on to win a record SIX Agatha Awards, as well as five Anthony Awards, to go along with CWA Dagger, Dilys, Barry, Macavity, and Arthur Ellis Awards too. Paying it forward, she helped launch an award for aspiring Canadian mystery writers in her home country, the Unhanged Arthur, in 2009. Penny's books, which are modern Canadian spins on the classic Golden Age village mysteries, have sold millions of copies, been translated into 25 languages, been #1 New York Times bestsellers, and received plenty of critical and reader acclaim, to go along with all of the awards. 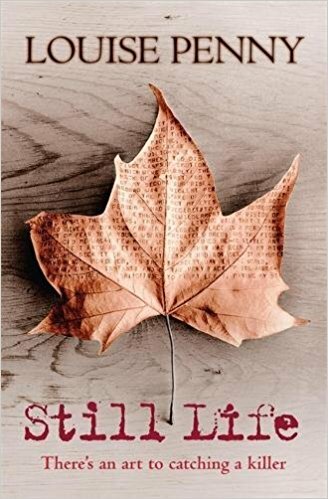 Such is the success and global reach of Penny's mysteries, that in 2013 the Canadian Government named her to the Order of Canada, for "contributions to Canadian culture as an author shining a spotlight on the Eastern Townships of Quebec". Louise Penny's fourteenth book, and latest tale starring Chief Inspector Armand Gamache of the Sûreté du Québec, is Glass Houses. You can read an extract here. 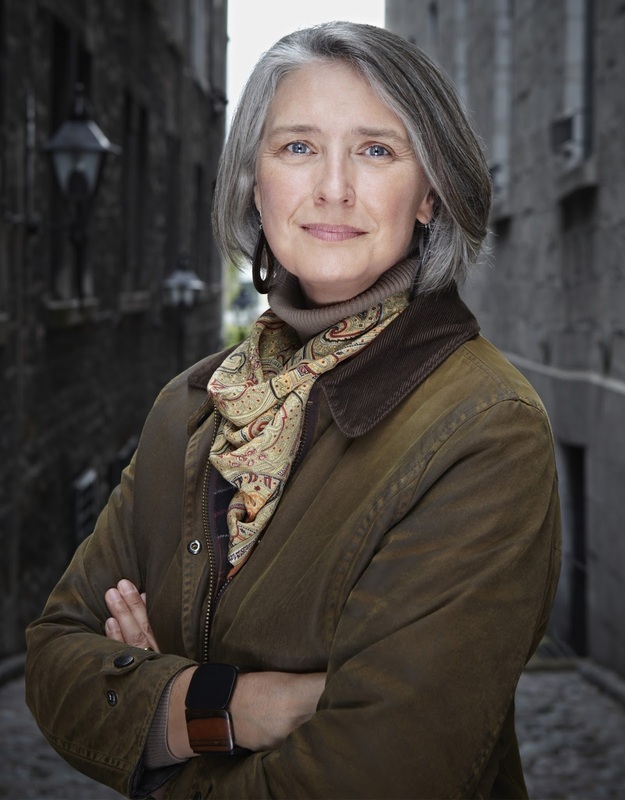 But for now, Louise Penny becomes the 169th crime writer to stare down the barrel of 9mm. Ann Cleeves Vera. Far from alone in that. Charlotte’s Web was the first novel, though I also loved the Winnie the Pooh stories and AA Milne poems. So gentle. I was a fearful child, so that rhythm and reassurance was calming. I’d tried to write a book every decade of my life, from the age of 8. But I really had nothing to say. It was only in my mid-forties, after I’d lost both parents and fallen deeply in love with Michael, that I realized it wasn’t about ‘saying’, it was about revealing. And I finally had things to reveal. I love traveling. But because my life is so structured and I need to be so disciplined, when I travel, I love not having a schedule. My favourite days are ones with nothing in the agenda. I now have a flat in London, and when I’m there I love just walking… often ending up at the Chelsea Physic Garden. For peace. Meryl Streep. Or maybe George Clooney. I’m not picky. Of your books, which is your favourite, and why (not which you think is best, but which has a special meaning, for whatever reason)? Impossible to say, of course. Though I will always have a special place in my heart for the first, STILL LIFE. It seemed, when I’d finished writing it, a miracle. I wept. Poor Michael – I spent a lot of time in tears that year. Of joy, of course, but he still found it upsetting. But then, that first launch event, I looked over at him, and he was crying too. Well, I once spoke to no one. There wasn’t a soul at the event – years and years ago, in San Francisco. But I decided, screw it. And got up and talked to the bookcases. Even the booksellers weren’t there. I think they were alternately embarrassed for me, then afraid of me. As I talked. To no one. 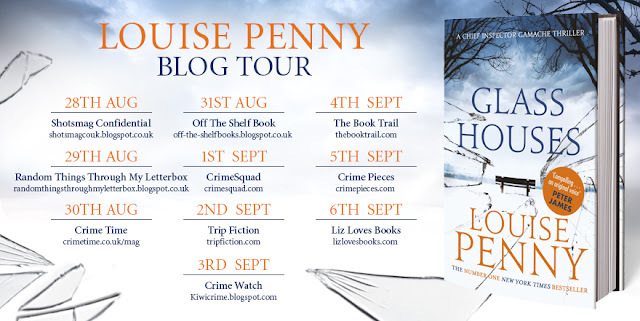 You can read more about Louise Penny and her books at her website, and keep up to date by liking her Facebook page.